The GIS&Coast Research Group has been working on a wide range of topics for more than 25 years. Research topics to be highlighted are natural processes and environmental impacts, such as natural hazards, climate change or land use characterization and change among other geographical issues at local, regional and global scales. The most common focus of this research has been the coastal zone, understood as a transition area between the continental and marine domains, where a wide and varied range of dynamic processes, both natural and human, are currently taking place. 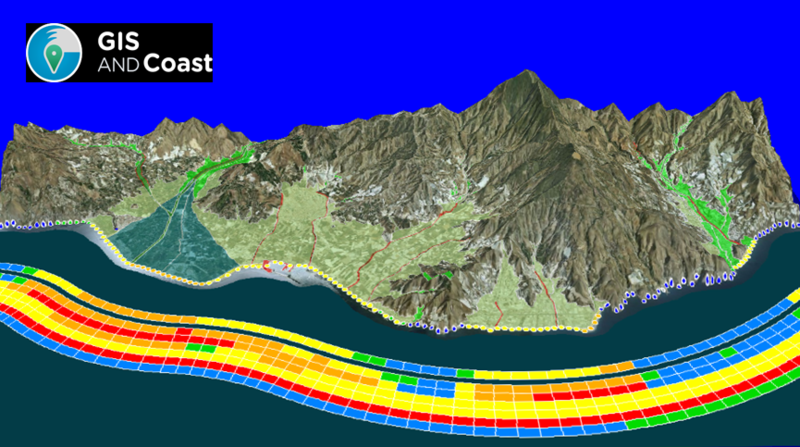 The coast of Andalusia (south Spain) is a typical case of this sort of overlapping processes, which give place to serious problems and dilemmes. All the studies carried out by the GIS&Coast Research Group have in common the application of Geographic Information Technologies (GIT). The broad experience in the application of GIT in many different fields of research includes land survey (by means of remote sensing, photogrammetry or LIDAR), spatial modelling, geodatabase building and management, and data processing and spatial analysis; together with a broad array of dissemination strategies, ranging from the classical mapping to the use of advanced resources on WEB-mapping. (http://www.gis-and-coast.geographica.gs/). Ismael Vallejo Villalta is Professor at Seville University (Spain), where he´s currently the Head of the Department of Physical Geography and Regional Geographic Analysis. He has a Ph.D in Physical Geography (dissertation on coastal dune systems) and Msc degree in Environmental Remote Sensing from Aberdeen University (UK). His teaching is mainly on GIS, Remote Sensing and Natural Risks and he belongs to the GIS&Coast Research Group. His research topics dealt with applications of geospatial analysis to natural hazard, vulnerability and environmental impact assessment, especially in coastal areas. He has worked for the Andalusian Regional Government at the Civil Protection Service and at the Environmental Agency.